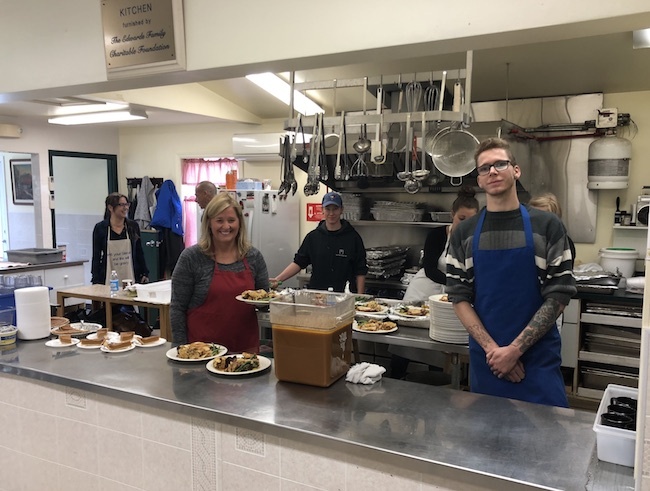 Thank you to everyone from the Prince George Hotel who helped serve 150 Thanksgiving meals at Hope Cottage on Monday, October 8th from noon until 1pm. We are grateful to all our supporters and volunteers helping us during this event. We thank everyone in attendance. 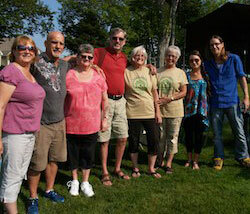 We are grateful to all our supporters and volunteers that helped us during this event. The 2018 Drive for Hope Golf Fundraiser was held on Wednesday, August 22, 2018 at the beautiful Glen Arbour Golf Course. We are pleased to announce that after seven years, the total raised by the Halifax Employers Association (HEA) currently exceeds $322,000. 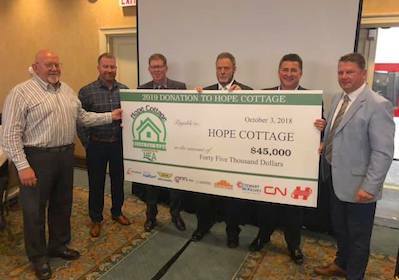 Hope Cottage receives no government assistance, so funds from this event, at the door donations, and other events during the year, are what sustain the operation and help Hope Cottage feed over 200 per day – two meals per day, five days per week. Thank you to all our sponsors from 2018 and we look forward to your assistance in 2019. The 2017 Drive for Hope Golf Fundraiser was held on Thursday, August 17, 2017 at the beautiful Glen Arbour Golf Course. We are pleased to announce that after seven years, the total raised by the Halifax Employers Association (HEA) currently exceeds $277,000. Look for additional photographs from 2017 soon. Thank you to all our sponsors from 2017 and we look forward to your assistance in 2018. 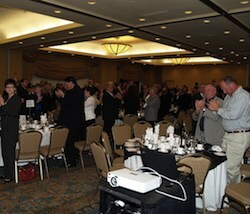 Photos of the 8th annual Drive for Hope Golf fundraiser sponsor reception and end of day golf ball drop. 2018 play is tomorrow. The 2016 Dinner was a smashing success. Thank you to everyone: to all that attended, to the Delta Halifax, to its employees who volunteer their time, to financial donors, and to all the wonderful companies that gave gifts that make our live and silent auction so much fun and successful! Your generous spirit helps feed those less fortunate. Photographs of the evening can be found on Twitter and Facebook. 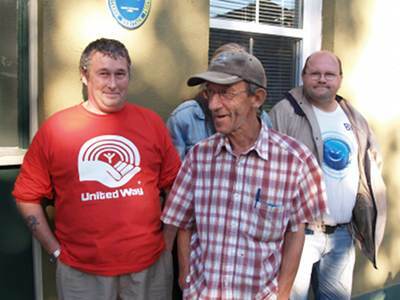 We are grateful to all our supporters and volunteers, especially the kindness and generosity of the Delta Halifax. Thank you. The 2016 Drive for Hope Golf Fundraiser was held on Thursday, August 18, 2016 at the beautiful Glen Arbour Golf Course. We are pleased to announce that after seven years, the total raised by the Halifax Employers Association (HEA) currently exceeds $250,000. Look for additional photographs from 2016 soon. Thank you to all our sponsors from 2016 and we look forward to your assistance in 2017. The night will feature stand up comedy, a drum-off, local music, a raffle and more. Come out Saturday, Feb. 27, 2016 and enjoy the show and help us raise some money for a very worthy cause. Or come out to Clay West Bar and Grill in Bayers Lake. Details at https://www.facebook.com/events/963403560381100/. Cover is $10 at the door or $5 + tin of coffee/tea or juice packs. With your generous donations, The Friends of Hope Cottage supply all of the turkey for Christmas dinner and then some. In addition to the Christmas Meal, we like to fill the freezer with meats for the cold months of January through April. 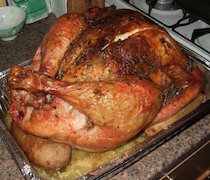 We are grateful to all our supporters and volunteers, especially the kindness and generosity of the Delta Halifax who cook and deliver the cooked turkeys to Hope Cottage each Christmas. Photographs from the 2015 Thanksgiving Dinner fundraiser will be online soon. Another glorious day at Glen Arbour Golf Course to raise funds for the operations at Hope Cottage. Final numbers are being tallied but in six years, the total raised by the Halifax Employers Association (HEA) currently exceeds $200,000. This year’s winning team is from the Scandinavian Tabacco Group who are also sponsors of the event. 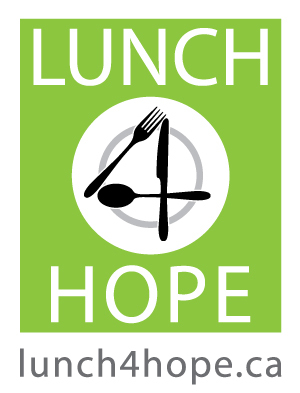 Thank you to all those that joined up at our first annual Lunch 4 Hope fundraiser meal at Hope Cottage on May 7, 2015. 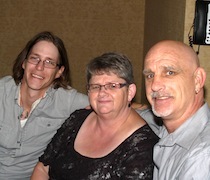 Photographs from the 2014 Thanksgiving Dinner fundraiser http://www.flickr.com/ We are grateful to all our supporters and volunteers, especialy the kindness and generosity of the Delta Halifax. Thank you. 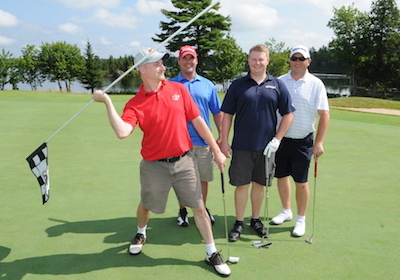 A big thank you for the supporters and volunteers of The Halifax Employers Association’s (HEA) fun filled day of golf at the Glen Arbour Golf Club on August 21, 2014. 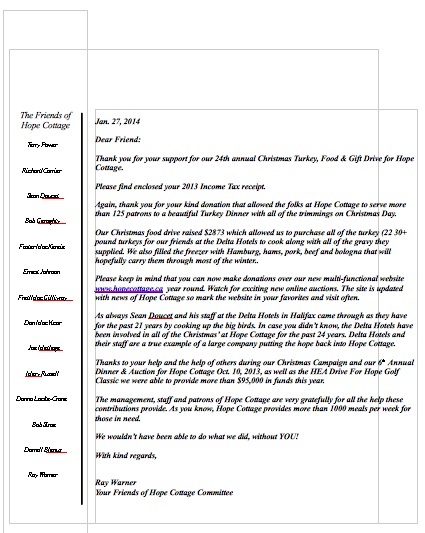 Thank you letter for kind donations that allowed the folks at Hope Cottage to serve more than 125 patrons to a beautiful Turkey Dinner with all of the trimmings on Christmas Day. Follow us on twitter or Facebook to keep up to date with details on this and other Hope Cottage news. The sixth annual Friends of Hope Cottage “Thanksgiving Dinner and Auction for Hope Cottage” was held Oct. 10, 2013 at the Delta Halifax was a wonderful success. 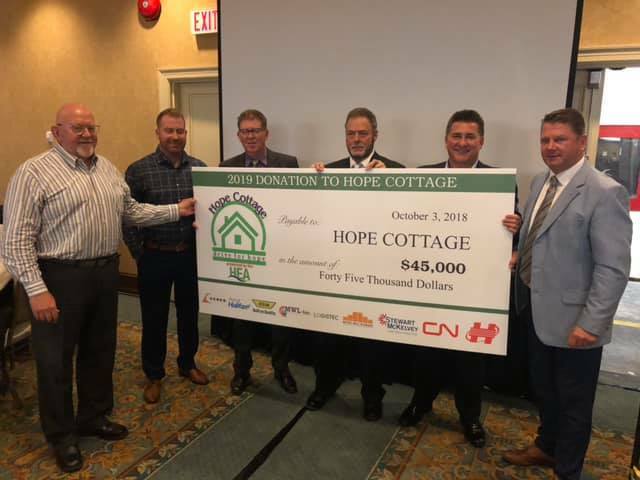 The Friends of Hope Cottage have raised over $400,000 over the past number of years. 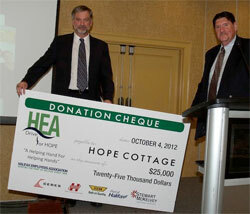 Thank you to everyone who attended the Hope Cottage Drive for Hope Golf Tournament and Auction on August 22, 2013. The Halifax Employers Association and a number of generous sponsors hosted a well attended afternoon of golf at the Glen Arbour Golf Club. 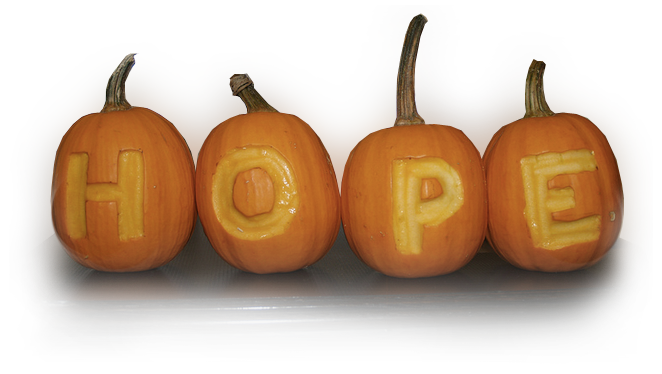 Thank you to everyone who attended Thanksgiving Dinner and Auction for Hope Cottage on October 4th, 2012. The numbers have been calculated & the Thanksgiving Meal and Auction was the best ever. We raised $51,296.90 which is a new record, thanks to you. Hope Cottage’s annual Turkey Drive is accepting donations of money to cover the costs of turkeys for its Holiday Dinners. If you would like to help, please make a donation here. Tax receipts will be provided for donations $20 and over. Thanks in advance for your generosity. Error: Error validating access token: Session has expired on Tuesday, 19-Feb-19 10:22:21 PST. The current time is Friday, 19-Apr-19 23:16:12 PDT.